The Igros Moshe YD 3:86 says that the Chachamim commanded that women should not be taught Mishna since it is oral Torah and it is like teaching them tiflos(promiscuity) and it should be avoided. However, they can be taught Pirkei Avos since it has Mussar (instruction) and has hanhagos tovas (good deeds). 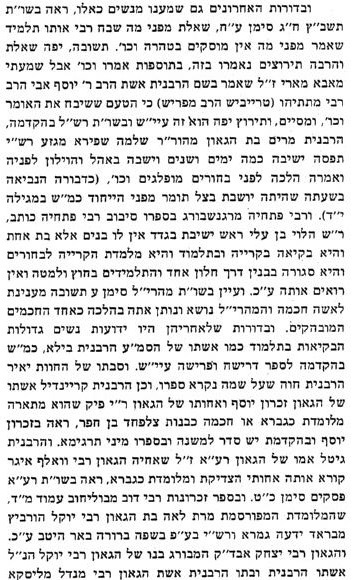 In The Sefer VaYoel Moshe(Satmer Rebbe) Maimer Lashon Hakodesh 33(page 436) says teaching Rashi to girls falls into the category of teaching tiflos and is an issur chamer Meod(very great sin). There are those who make a distinction between a classroom setting and learning by oneself. Like Hacham Gabriel pointed out from the Chida Tuv Ayin 4 (read inside how he learnt the Rambam). No, it is not assur. As to your question with regard to a curriculum in a coeducational school, I expressed my opinion to you long ago that it would be a very regrettable oversight on our part if we were to arrange separate Hebrew courses for girls. Not only is the teaching of Torah she-be-al peh to girls permissible but it is nowadays an absolute imperative. This policy of discrimination between the sexes as to subject matter and method of instruction which is still advocated by certain groups within our Orthodox community has contributed greatly to the deterioration and downfall of traditional Judaism. Boys and girls alike should be introduced into the inner halls of Torah she-be-al peh. 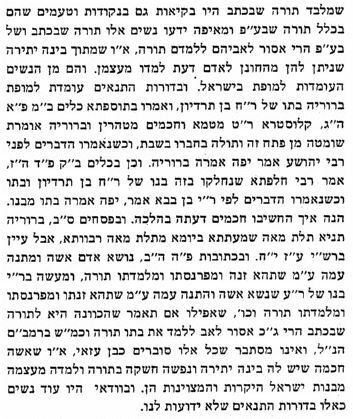 According to the Hida (Shu"t Tov Ayin #4) we may not force women to learn Torah (as we do Yeshiva students-see Sefer HaHinuch Behar 343). He says women may learn on their own, but adds we can teach her (not against her will). It doesn't seem that anyone attempted to address this in a comprehensive manner, so I will try. There might be slight overlap with some of the other answers here, and with my answer to this question. If you don't want to read through many paragraphs of sources, skip to the summary all the way at the bottom. Here we have a tannaic dispute wherein one tanna asserts that teaching girls Torah is obligatory. He does not specify what forms of Torah he is referring to. The other tanna does not state that teaching girls Torah is forbidden; rather, he states that teaching girls Torah has a negative consequence. 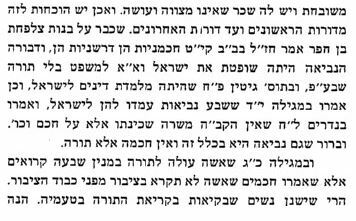 Here Rambam appears to decide in favor of the second opinion in the Mishnah (as he states simply that "the Sages" said that teaching girls = tiflus). We also see two new points from Rambam's formulation. First, he adds that the Sages commanded not to teach girls (as opposed to the Mishnah which only mentioned the negative consequence but no command against teaching them), and second he distinguishes between the Written Torah and the Oral Torah, arguing that the negative comments in the Mishnah were in reference to the Oral Law. Teaching girls the Written Law was not included, though it is still frowned upon. However, despite the overall negative attitude displayed in this formulation, we must remember that he started it off by saying that if a woman does study Torah she receives reward, implying that it is in some sense a good thing. This view is also more or less echoed in the Levush and the Aruch Hashulchan. It thus appears that the standard codes follow the opinion that teaching the Oral Law to women is frowned upon. Note that so far we have seen no distinctions between different works of the Oral Law (e.g. that it is okay to study Mishnah but not Talmud). This leads to the argument that one cannot properly understand the actual laws without the background discussions of the topics in the Oral Law, primarily the Talmud (see below). Aside from the inherent exceptions to the law, in more contemporary times a number of leading rabbinic figures have advocated that due to changing circumstances we need to change the policy as well. This most famously began with R. Israel Meir Kagan arguing that the Mishnah was written in an era when people lived close to their parents and the traditions were strong enough to be absorbed in the home. However, in his time he felt that people no longer lived near their parents and the traditions had weakened, creating an environment in which it was necessary to teach girls Torah, and without Torah study they would abandon Judaism. However, despite this line of reasoning, he did not take it to the fullest conclusion and recommend Talmud study. (While he did not specifically forbid Talmud study) He only recommended the Written Law and very limited parts of the Oral Law. R. Soloveitchik also wrote two letters to R. Leonard Rosenfeld (the second one was cited by Curiouser above). I acknowledge receipt of your letter. In my answer to your previous inquiry concerning the permissibility of instruction of girls in Talmud I stressed that unless I am assured in advance by the school administration that my recommendations will be followed I would not take the trouble to investigate the matter. Since such an official assurance has been withheld (your letter did not contain any such commitment) I must decline to consider the controversial problem. The reason for my reluctance to engage in this controversial issue is the unique stand taken by many of our Jews on matters of Law and tradition. We have reached a stage at which party lines and political ideologies influence our halakhic thinking to the extent that people cannot rise above partisan issue to the level of Halakhah-objectivity. Some are in a perennial quest for “liberalization” of the Law and its subordination to the majority opinion of a political legislative body, while others would like to see the Halakhah fossilized and completely shut out of life. I am not inclined to give any of these factions an opportunity for nonsensical debates. Please accept my apologies for not answering your letters sooner. The delay was due to my overcrowded schedule. As to your question with regard to a curriculum in a coeducational school, I expressed my opinion to you long ago that it would be a very regrettable oversight on our part if we were to arrange separate Hebrew courses for girls. Not only is the teaching of Torah she-be-al peh to girls permissible but it is nowadays an absolute imperative. This policy of discrimination between the sexes as to subject matter and method of instruction which is still advocated by certain groups within our Orthodox community has contributed greatly to the deterioration and downfall of traditional Judaism. Boys and girls alike should be introduced to the inner halls of Torah she-be-al peh. I hope to prepare in the near future a halakhic brief on the same problem which will exhaust the various aspects of the same. In the meantime I heartily endorse a uniform program for the entire student body. 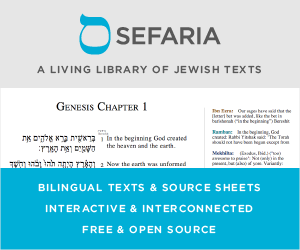 [DH:] Can women learn Torah she'bal peh? Yes. You can't really understand chumash or hashkafas ha'yahadus without the interpretation and analysis of Torah she'bal peh. [DH:] How do you explain "כל המלמד בתו תורה (כאלו) לומדה תפלות"? Women also have to have the concept of mesorah. In the days of Chazal, women got the mesorah through osmosis without formal learning, so there was no chiyuv for formal learning. It was based on "שמע בני מוסר אביך ואל תטש תורת אמך". Today when our mesoros are weak and they cannot get it through osmosis, they still have two chiyuvim, to know the halachos, to know what to do ללמוד לעשות; and the love of Torah she'bal peh so they can pass it on to their children. The proof is from a giyoress, who must be taught ikarei ha'das including mussar and hashkafas ha'chaim. Our daughters today are certainly no worse than geirim, who need limud. Why would Rashi and Ramban be OK, but gemara not? They're all Torah she'bal peh. I once heard him [R. Soloveitchik] declare that since women are obligated to study mitzvos which are incumbent upon them, then much of the Talmud is required for study. In 1995, I was present when R. Amital told a gathering of the kollel that he did not feel women needed to study Talmud; his grandmother and mother had been very pious Jews without it. A year or two later, he addressed a women’s learning program with the words, “You know, I used to think that Talmud study for women was unnecessary, but now I think it is absolutely essential!” Soon afterwards, Yeshivat Har Etzion decided to open a women’s division in Migdal Oz, where Talmud study is a major part of the curriculum. As it is inconceivable that someone could rule without ever studying Talmud, this indicates that it is at least possible for individual women to study Talmud. In terms of the specific question that was asked, if I had to answer it, I would say that it is better that boys never see a Gemara than to teach it to the boys and girls together. It is far, far better. The boys will survive not having seen a Gemara. B'ezer Hashem Yisbarach, they will come to a yeshivah and will start learning it, with a certain handicap, of course. They would have been able to do better if they had seen a Gemara, but they will survive. But teaching girls Gemara – that they will not survive. If you have to make a choice of either not teaching the boys and the girls or of teaching both, make the choice of teaching neither. You will be much better off in terms of building Yiddishe neshamos. Most classical authorities codified a rule that women should not be taught Talmud. There were a number of possible exceptions to this rule, and especially in recent times a number of authorities have argued in favor of Talmud studies, while others maintain their strong objections. In contemporary practice there is a wide range within Orthodox Judaism. The more "modern" groups encourage women Talmud studies, and teach it in their schools. The average "yeshivish/chareidi" groups for the most part discourage it and do not teach it in their schools, but they probably wouldn't stop an individual girl from studying. The more intense yeshivish/chareidi, including many Hasidic groups, outright forbid it. An interesting data point. In Lubavitcher Rabbi's Memoirs describes a woman named Devorah who grew up in Minsk where women were better educated, and she herself learned Gemarra with Rashi by the age of 15 (and had friends who were women who were apparently at a similar level that she studied with). When she re-married (she was widowed at a young age) and moved to Vitebsk, she was dismayed at the relative ignorance of the women there and looked to educate them. Ultimately she worked to attract many Torah scholars to that city and made it a center of Torah learning, and founded a Yeshiva bearing her (and her daughter's) name. I believe the time-frame discussed is 17th century. Even though a woman is not commanded in talmud Torah, as it says 'And you shall instruct your sons in them' (Deut. 11:19), and not your daughters, if he wanted to teach her, he is permitted as is explained in Kuntres HaRaayot: Raaya 2. No, women should learn Torah. It is important to understand that learning Talmud doesn't make one a rabbi and that women still cannot become rabbis. Learning Torah on the other hand should never be discouraged. Is it a sin to study talmud as a woman? Is it forbidden to learn Hebrew/Aramaic during Tisha B Av?